ETD Consulting is pleased to be associated with this major European Conference on Power Plant Preservation & Operation, run by EventfulPower. S Hampson will close the first day of the Conference with a Paper titled 'Power Plant Cyclic Operation - Cost & Performance Implications' at 16.40h. For further details and to register, please click on the Conference brochure image. have been approved for Professional Development purposes by the Institute of Materials, Minerals & Mining (IOM3). This means that, in addition to benefiting from the knowledge and expertise of industry leaders, delegates at our events will also qualify for 14 Professional Development Hours per event. For further information on these events, please click here. Between 11 and 18 February 2014, ETD Consulting successfully ran three 2 day Plant Life Management Foundation Courses (LMF courses) at our training centre near London. The courses, ranging from LMF1 (Basic) to LMF3 (Advanced) were well attended by delegates from a number of utilities in the UK and from elsewhere in Europe. In particular, three delegates from Scotland were able to attend LMF1 and LMF2 courses remotely through our state of the art videoconference facility, saving their employers the time and costs. They were able to interact with the course trainers and participate in debate and discussion with the other course attendees as if they were in the training centre itself! 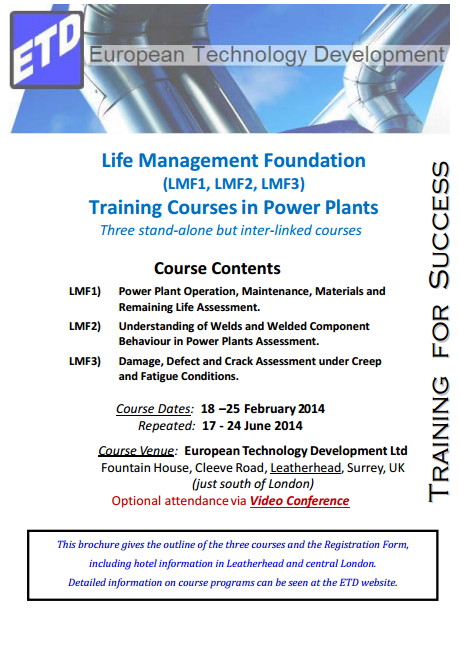 Course outlines and registration details for the LMF courses can be accessed here. If you would like to attend the June 2014 courses, either at our training centre or by videolink from your site, or have any further enquiries, please contact us. 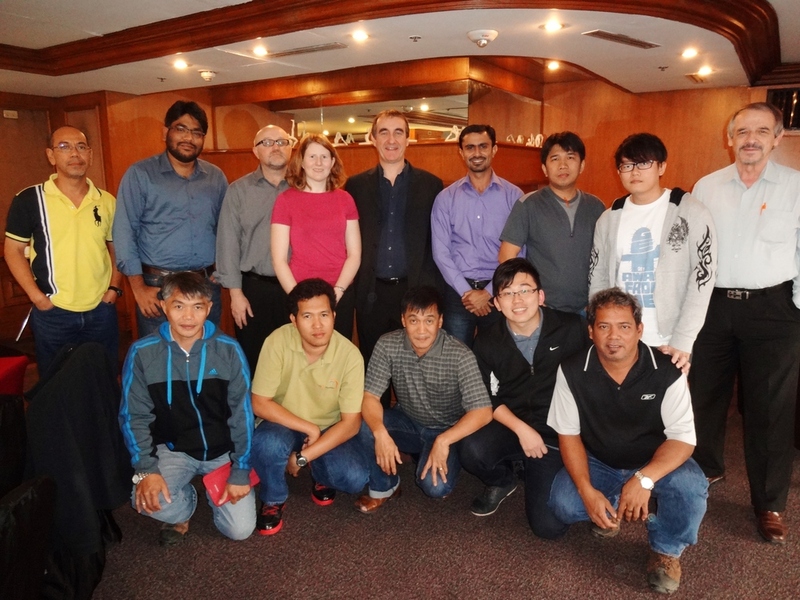 The course covered – Boiler / HRSG Integrity & Life Assessment; P91 Heat treatment, Welding & Inspection. For more details on the training courses ETD Consulting can offer you, please click here.